You can park your car at Parking Cammerpoorte, diagonally across from MAISON NATIONALE at only 30 m from our entrance. Our suites can be booked in 3 ways: by telephone, e-mail or via the website www.maisonnationale.be. 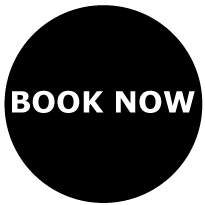 Following receipt of your request or booking you will receive confirmation of your booking as soon as possible. A EUR 100 guarantee is customary on arrival. This will be repaid on check-out after check-up of the suite. MAISON NATIONALE offers several payment options. Cash or credit card are not a problem. We accept the following bank cards: VISA, MasterCard, Maestro or Bancontact. MAISON NATIONALE is a smoke-free area. And we would like to keep it that way. Are you looking forward to a relaxed stay in Antwerp and a refreshing night’s rest in your king-size bed? After 22h, please take it easy on the noise front, both inside and in front of the hotel. Pets are not allowed at MAISON NATIONALE. Thank you for your understanding. Do you have any questions? Or specific requirements? Please let us know at info@maisonnationale.be. We will find out for you and do the necessary.